Paws for a Study Break is back! 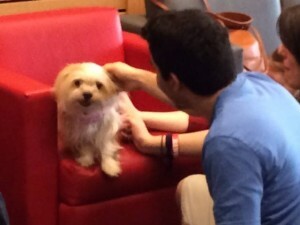 Paws for a Study Break is an event where the library has therapy dogs for students to play with to de-stress! Stop by and make a new best friend. Previous PostCampus Coffee Hour – November 21stNext PostCome Make Flashcards for Finals!